Success of our Mathematics MS graduate Ayk Telciyan! FENS Mathematics Success of our Mathematics MS graduate Ayk Telciyan! 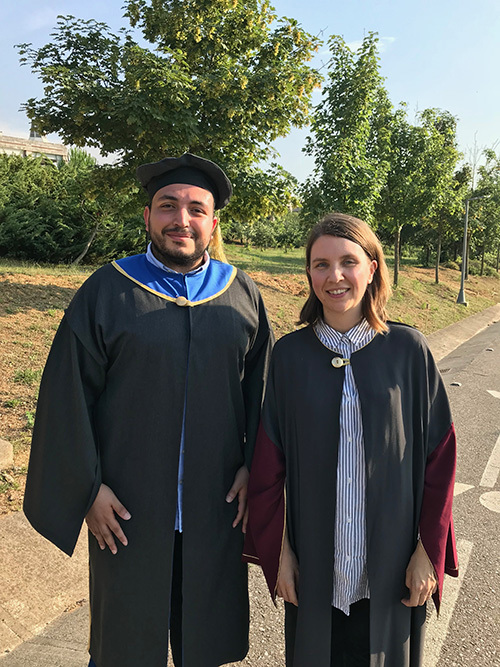 Our Mathematics MS program graduate Ayk Telciyan has been accepted for a full-scholarship PhD in Coimbra University in Portugal after completing his thesis titled as “On the existence of solutions for inextensible string equations” under the supervision of our FENS faculty member Yasemin Şengül. Coimbra University is one of the 10 oldest universities in the world whose campus is listed as a UNESCO Heritage Site. Ayk is going to study for his PhD under the supervision of the Russian mathematician Dmitry Vorotnikov who is well-recognized in the area of partial differential equations. We congratulate Ayk Telciyan for his success and wish for its continuation!